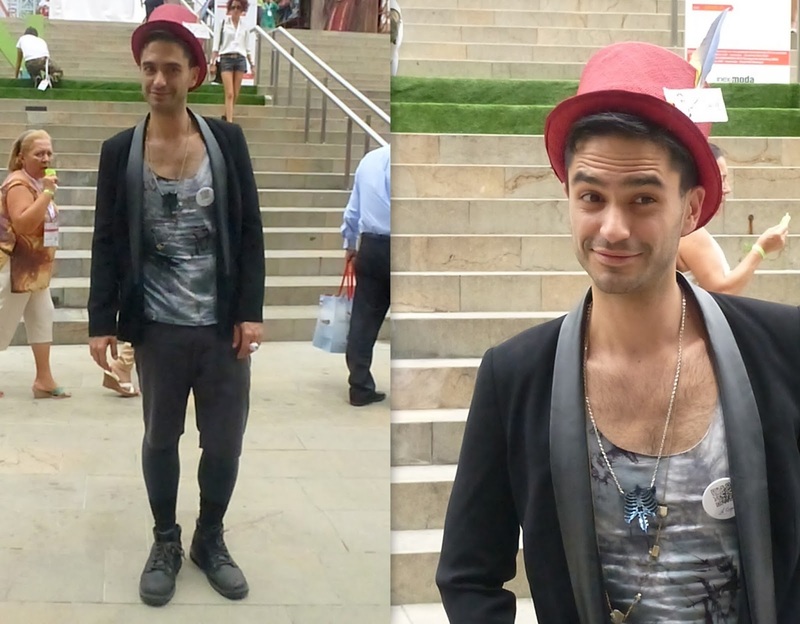 Second day of Colombiamoda 2013 bring us really interesting street style proposals. You can see all options below. Personally I was wearing whole Studio F look, which I could choose myself that morning. More about that experience soon. Segundo dia de Colombiamoda 2013 nos trajo muchas propuestas interesantes de street style. Podeis ver todas la propuestas abajo. Personalmente tuve la posibilidad de crear todo mi look con Studio F. Mas sobre esta experiencia pronto. W drugim dniu tygodnia mody Colombiamoda 2013 mialam okazje zobaczyc wiele interesujacych propozycji street style. Osobiscie postawilam na kwieciste wzory i stworzylam moja stylizacje wraz z kolumbijska marka Studio F, niedlugo wiecej na temat tego doswiadczenia. Lots of fabulous people here, but none more fabulous than you, Aga. Very nice floral blazer and floral shorts. I like the handbag you're toting. The cut out booties are pretty nice as well. You look lovely, as always, with your charming hair and cute smile. Loving all the prints. But really, LOVE LOVE LOVE you in florals. You look beautiful! Love all the inspirational streetstyle. Aga, tu outfit es una monada. Me encanta el estampado de este divertido y atractivo traje de chaqueta con shorts. Es una propuesta genial, elegante y valiente. cudownie wygladasz, marynarka i spodenki swietnie wygladaja!!! piekna masz opalenizne!! Those outfits are all so fantastic! I'm really loving your ensemble, it's really beautiful! Guapis lo se, iba a preguntarte hoy, te puse en los credenciales. te molesta? Es que la mia estaba de muy mala calidad.